We have pediatric jobs in New Jersey waiting for you! Pediatricians are physicians that specialize in child care from birth to about 21 years by providing health checks to keep children healthy and treating acute and chronic illnesses. Pediatricians do not only care for their patient’s body, but also their mental and emotional well-being. They are well versed in the many stages of child development and will educate their patient’s parents on proper care and normal growth patterns: mental, emotional, and physically. Pediatricians work to reduce infant and child mortality. Pediatricians work to control infectious diseases. 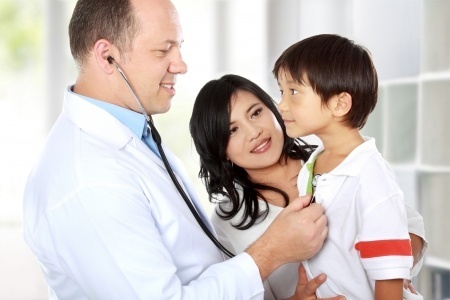 Pediatricians educate parents and children in order to foster healthy lifestyles. Pediatricians work to ease the difficulties caused by chronic conditions in children and adolescents. Pediatric doctors have the ability to diagnose and treat infections, injuries, malignancies, genetic defects, and organ diseases and dysfunctions. However, a pediatricians are also part of the early detection system for other problems that go beyond the physical. These include depression or anxiety disorders, behavioral difficulties, social stresses, developmental disorders, and functional problems. Many times, a pediatrician will call on a professional when certain symptoms of either a disease or development appear so that their patient can get the best diagnosis and care possible. All pediatricians complete a three year pediatric residency after medical school. This residency focuses on infant, child, adolescent, and young adult care. All pediatricians must pass a written exam in order to become certified by the American Board of Pediatrics and they must recertify every seven years. Pediatricians are the best doctors available for infants, children, and adolescents. They know the common issues are reactions that come with being a child and how to treat it. There are many pediatrician jobs in New Jersey. Trenton is the capital of New Jersey, but the major cities are Newark and Atlantic City. New Jersey is a great location because it is right between major states like New York, Pennsylvania, and Delaware. It is also located right next to New York City. It is so close to New York City that many people who work there will choose to live in New Jersey and commute. New Jersey isn’t a great place to live based on location alone. It is also home to Newark International Airport and many museums, parks, and art exhibits. You will enjoy New Jersey. Doctor’s Choice Placement Services, Inc. has a database of Pediatric Jobs in New Jersey that any pediatrician can look over without registration. Our database is updated daily and all of our services are free to any physicians looking for work in his or her field. Come and check out what we have to offer today! If you are a medical center, hospital, or doctor’s office in need of pediatricians, you need look no further than Doctor’s Choice Placement. We perform an excellent physician search and placement service with no fees until the job is done and you have the pediatrician you need. If you have open pediatric jobs in New Jersey, let us help you find doctors for them. You can go to our New Jersey Pediatric Employer page, contact our New Jersey Pediatric Recruiters, or call us at (800) 510-0975. We are waiting for your call!